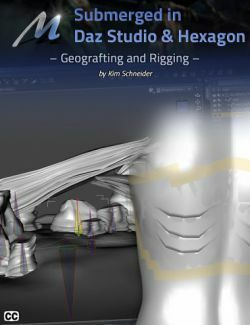 A comprehensive step-by-step modeling blueprint that will walk you through the first steps in using free 3D software, and help you begin to create gorgeous 3D props and buildings for DAZ Studio and Poser. 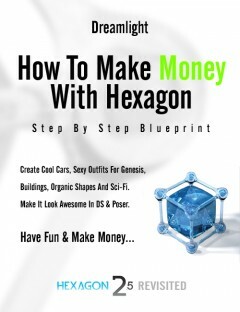 Model for fun or sell your models and make extra income. 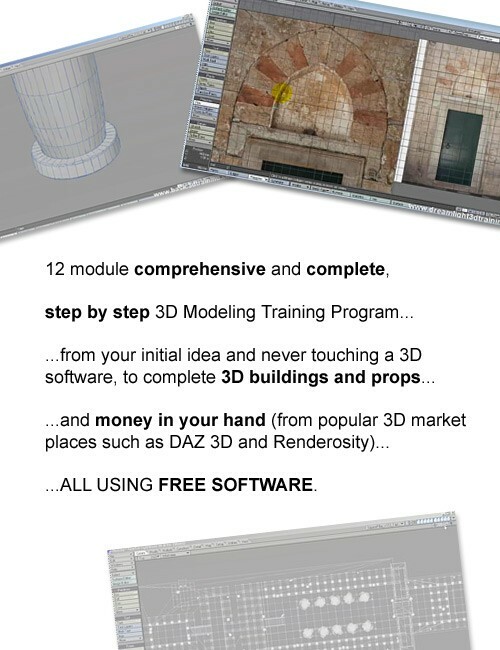 From Your Idea – To Stunning 3D Props And Buildings – To Money In Your Hand… This comprehensive 12 module 3D modeling video training program will guide you step by step, all using free software. "I’ve made more progress in the last few months than in the previous few years. Thank you very much!”, Kathleen. Delivered in high quality HD 1280 x 720 video in WMV and Mp4 formats. How to use your inspiration to get maximum leverage of your creativity and resources and how to use various sources of inspiration for maximum impact. Included are my best kept secrets on how to use your skills for maximum market exposure. Choosing the right software and how to quickly get familiarized with it We take a look at Lightwave 3D, Carrara, Hexagon, Blender and Wings 3D. 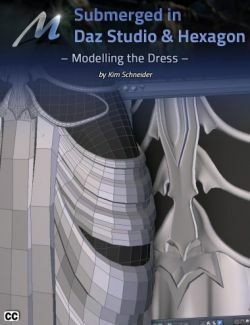 How to layout and plan your model for a faster, easier and more fun modeling experience, making sure that you can work smart instead of hard. 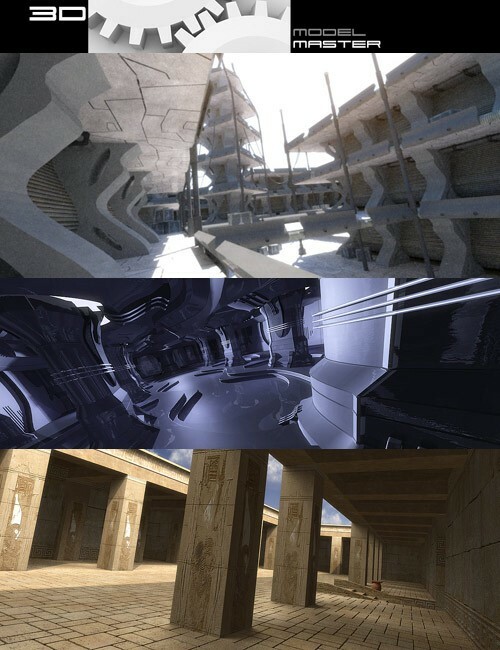 The basics of modeling: points, lines, edges, polygons and primitives–how they all connect and what you should know about them. 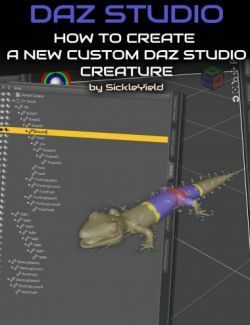 Using simple tools to reshape your models or add more details. The basics behind organic modeling. Working with layers for more control and speed of modeling. 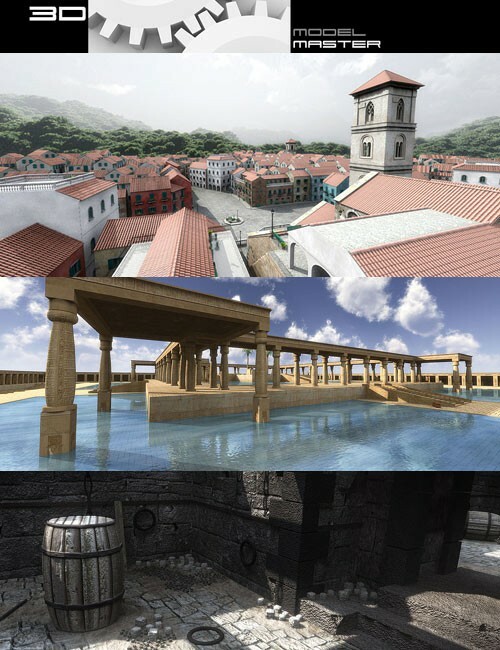 Adding surfaces and how to promote your prop during its production. How to optimize your models for minimum memory consumption and maximum rendering speed. 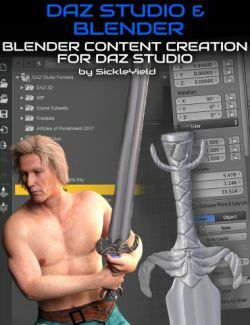 Learn how to create movable parts, morphs and how to model from photo references. 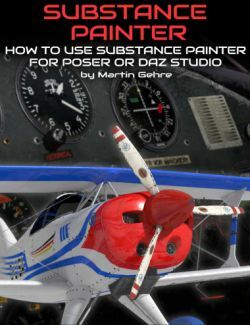 What are surfaces and how to apply them to your model. 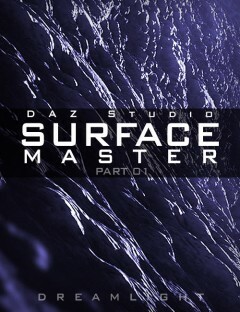 08.01 – What Are Surfaces? What are UV-maps and how to apply them to your model. 09.01 – What Are UV-Maps? What are textures and how to create them or use ready to use ones. 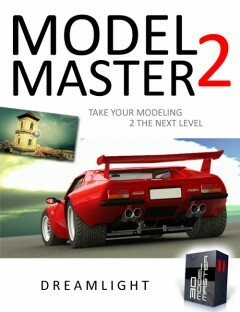 Including advanced features such as faking depth and controlling how lighting affects your model. Learn how to add shadows and other details directly via textures. 10.01 – What Are Textures? 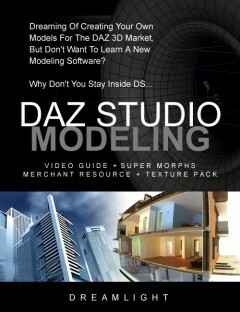 How to export / import your models for use in Poser, DAZ Studio, Lightwave or in any software reading the OBJ format. 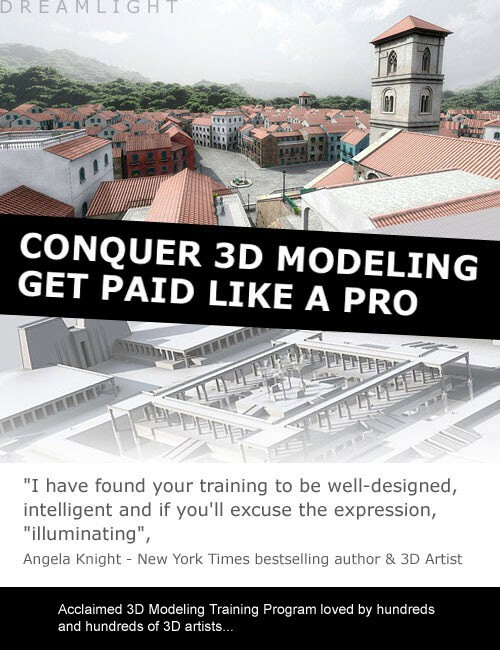 How to create compelling promo images so that your 3D models look inspiring to other artists or potential buyers, and where to send them for selling online. 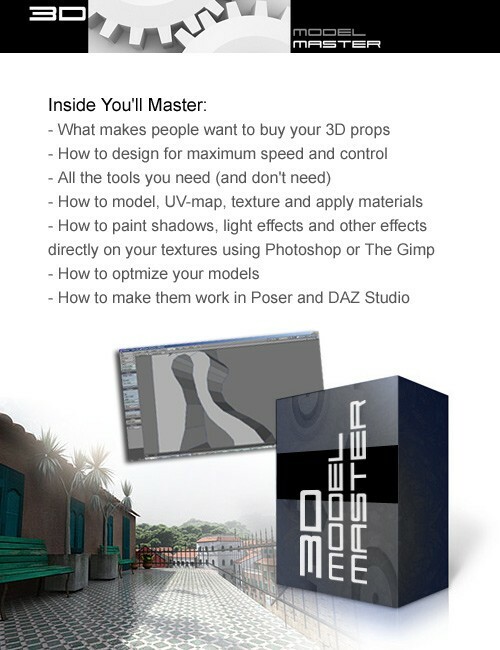 Note: This training program covers basic to intermediate modeling, texturing and uv-mapping as well as marketing advice from years of experience. 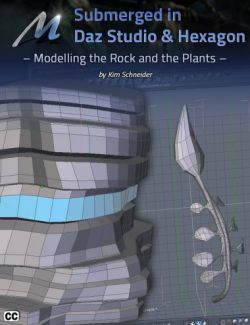 If you're looking for more complex modeling tutorials, such as advanced organic, advanced structures or character modeling, then this training might not be a fit for you.